No one likes email spam. Your prospects don’t want to receive it and you don’t want to send it. Although most sales reps don’t send emails with the intent of spamming their contacts, the line between the email spam and legitimate cold email can sometimes seem a bit fuzzy. So, exactly what is the difference between cold email and spam? More importantly, how can you prevent your cold emails from being classified as spam? Is Cold Emailing a Legal Gray Area? Let’s get one thing straight: it is not illegal to send emails to business contacts that you’ve never communicated with – or even those you don’t know. This type of networking communication between professionals falls outside the legal gray area surrounding spam and cold emailing. Now that that’s out of the way, let’s address the main concern: is cold emailing legal? The short answer is yes – as long as the email adheres to specific CAN-SPAM requirements. 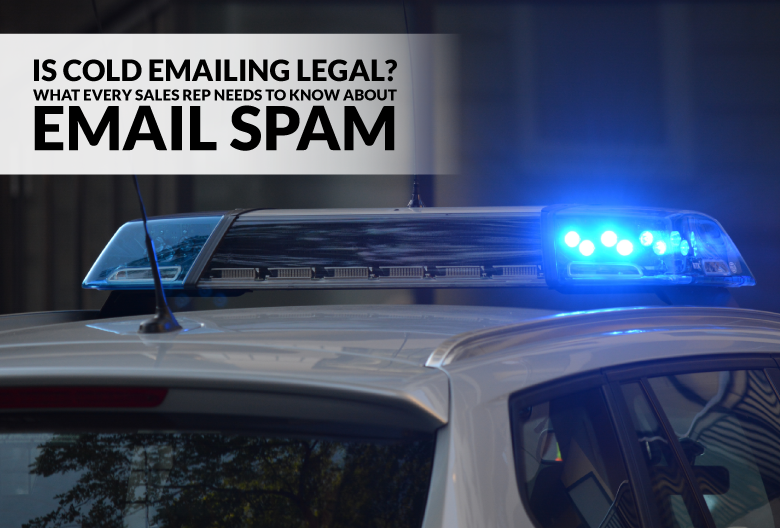 However, if you email potential or existing customers without an understanding of the laws that apply, you could end up in the spam folder and be stuck with a hefty fine. Enacted in 2003, the CAN-SPAM Act outlines requirements for sending B2C and B2B commercial messages – including cold email – and gives recipients the right to stop receiving emails from businesses. Violations of the Act don’t come cheap. In fact, sending an email that violates CAN-SPAM can cost you up to $40,654 in penalties. To prevent your business getting slammed with a costly fine, let’s talk about how you can send cold emails that comply with CAN-SPAM laws. The good news is, you can still use cold email for sales outreach – as long as you send messages that comply with CAN-SPAM regulations. Here are the rules you need to follow to make sure your emails don’t end up in prospects’ spam folder (or land you in legal hot water). A good subject line is an accurate reflection of the email content, rather than misleading clickbait with zero relevance to the actual message. You can still use clever, funny, and creative email subject lines to entice recipients to find out what you’ve got to say, as long as it’s not intentionally deceptive. For instance, a sales email with the subject line “URGENT news about your family” would certainly have a high open rate, but it violates CAN-SPAM requirements (and basic human decency) by being intentionally deceptive. Not to mention it’s incredibly tacky and would reflect poorly on your professional image. If someone doesn’t want to receive your emails, you must provide them with an easy way of letting you know. Your opt-out method can be as simple as including an unsubscribe link in the email footer or telling the recipient to reply if they want to be removed from your mailing list. You could also link to a menu that allows recipients to manage their subscription preferences, so they can opt out of certain types of emails but still stay on your list. 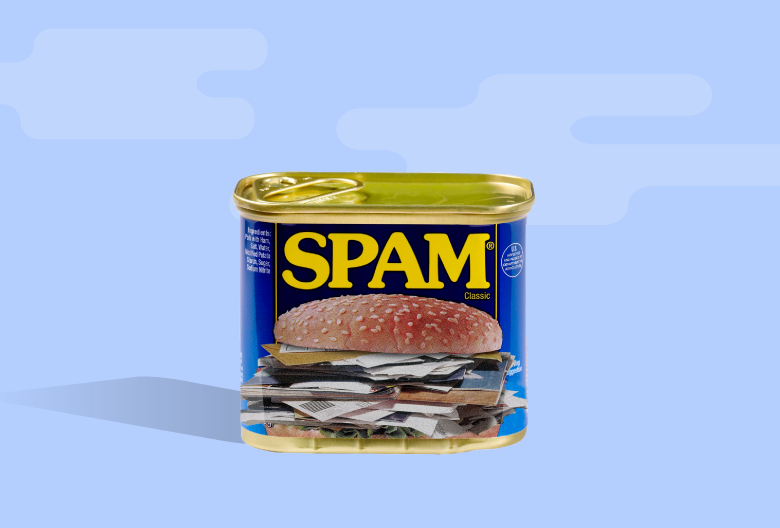 CAN-SPAM gives you a 10-day grace period to remove someone who wants to opt out from your list. However, since you’re likely juggling multiple lists and tons of contacts, it’s best to use an automated system that will take care of opt-out requests automatically. The bottom line is that you can’t make contacts jump through hoops to opt out of receiving further messages from you. It’s crucial that the information in your “From” and “Reply to” fields are accurate. Not only does it increase your open rate because prospects are more likely to read messages sent from a real person, but it also ensures you’re complying with CAN-SPAM regulations. Furthermore, you must include your business address or a physical address somewhere in the email. You can add this information to your email signature or footer. An effective cold email is personalized to the individual recipient. 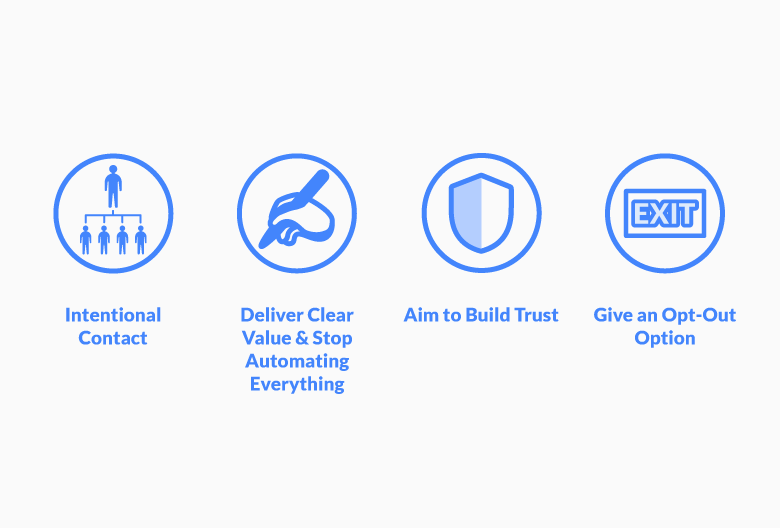 It provides clear value, uses friendly language to build rapport, and establishes trust by demonstrating that the sender understands the recipients’ needs. Furthermore, a good cold email complies with CAN-SPAM, which means it includes an opt-out method and accurate sender information. Email spam, on the other hand, is often automated, generic, and impersonal. It might be sent in bulk to contacts that haven’t been researched or qualified ahead of time. Spam rarely offers real value or presents information in a way that addresses the recipient’s needs. Plus, it’s potentially illegal, since those who spam their contacts are less likely to adhere to CAN-SPAM regulations. If you’d like more tips on sending effective cold emails – and running a campaign from start to finish – request your copy of The Cold Email Sales Guide for B2B Startups and SMBs today.